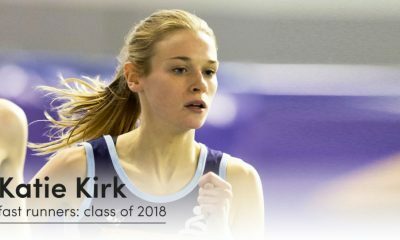 With two Commonwealth Games by the age of 20, Katie Kirk had experienced more than many do in a whole athletics career. In her first ‘class of 2018’ post, the still young 24-year-old reminds us that taking a step back sometimes from the all-consuming sport can be a positive thing. It’s important to allow space for other interests and passions too. Winter can be hard for an athlete with no injuries, but it is also hard for those who are still waiting for the chance to get a good training block in. At this stage, my motivation is probably at an all-time low for running and athletics activities. However, this is not necessarily a negative emotion. I will be as positive as possible. After all, that is my mantra for the year! The old me would have forced myself out the door to do my cross-training and additional exercise sessions if I was tired, sick or lacking in motivation. I had a serious fear of losing my fitness and keeping in shape. But now I have been out for such a long time, that while athletics is important to me, specific competition and training activities have been pushed aside while I finish my degree, wait for injuries to clear up and pursue other interests. No, this is NOT a retirement statement. I am simply accepting that my injuries will take a little bit more time to heal than I anticipated or planned for. The journey has to be experienced, injuries are part of the sport. Mistakes can be made along the way by trying to change its course, by coming back to training too soon, as has happened quite a few times. Since September, I have been trying to make my comeback and as expected there have been quite a few hurdles in the way. One being injury/illness and the other being life. For years when trying to compete at a high level I was obsessive about my cross-training. But now with more responsibility and a final semester at university to contend with I simply don’t have the time to cross-train like a crazy lady. I am finally learning that the long game is the best game and pushing myself in ways that cause my mental health to suffer will not reduce injury recovery time. I think among athletes there is very much a “do it or die” mentality when it comes to training. After over a year of purely cross-training, I have had enough, and I do sessions when I want to rather than feeling like I should do them. When I have a lot on with university or with the coffee shop that I manage with boyfriend, Johnny Foster, then I won’t train as much. It is futile feeling guilty for this as I view it as a worthwhile time investment for now and the future. This month has involved quite a few unexpected things. I have been back to university and working hard to finish up my dissertation project. In terms of training, I am still doing some cross-training sessions, along with two strength and conditioning session per week. Also, unfortunately, I have had some random illnesses this month. I was left unscathed by the “Aussie flu” but I have had food poisoning from some dodgy hummus, eye infections and a sore throat that has made me sound like a chain smoker! I am hoping that all these will cover me for the year and I will have a clean bill of health for months to come. I have booked to go to Portugal for a warm-weather training trip at Easter. With my eye on this in the not too distant future, I have the motivation to stay on the course to getting injury free. Even if I am only easy running by that stage I will be happy to get to the sun and allow myself the time to train in a sociable environment. I may not be the athlete that always listens to their body but I certainly am trying my hardest to become one. 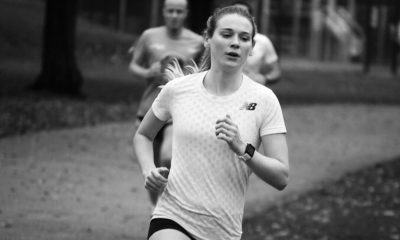 Katie Kirk is part of the ‘fast runners: class of 2018’ and will share her running journey every month throughout 2018. More about Katie can be found here and further information on the ‘class of 2018’ here.